Zeina Saab, co-founder, SE Factory (far right) with the team and participants of the bootcamp. Lebanese tech company representatives judging projects at the Demo day of pilot batch. Image credit: SE Factory. Launched in March 2016, SE Factory’s pilot batch saw 43 students apply for the bootcamp, from which eight aspiring tech entrepreneurs were picked for the program. Asfari Foundation, Bank Audi, Bank Al Mawarid, and Berytech were the sponsors for the first batch. From an online shift scheduling tool to manage team tasks and schedules, to a web application that promoted recycling of waste in households, to an e-platform for freelance workers and other such projects, the students used the camp to develop their ideas and also showcased them at the conclusion of the camp. “It [SE Factory] literally changed my way of thinking about a lot of things, not just in coding,” says Hassan Salem, one of the participants. “It improved my soft skills and passion to learn and developed my skills in every single moment, thus it has changed a big part of my personality,” he adds. Participants and organizers of SE Factory's pilot bootcamp. Image credit: SE Factory. Elaborating on the response for the first cycle of the program, Lubna Rashid, SE Factory Program Coordinator admits to a “very positive feedback” and some tangible benefits arising from the initiative. 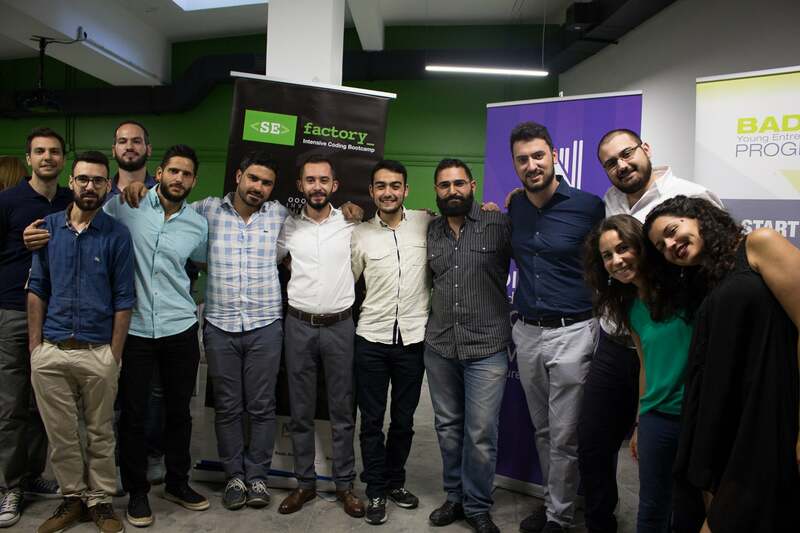 “Some of Lebanon’s leading software companies and startups [have] expressed interest in potentially interviewing some of SE Factory’s graduates for software development positions in their companies,” she says. She also clarifies that while participation is not confined to Lebanese nationals, the focus remains on filling the demand gap for skilled developers in Lebanon and “keeping bright minds in the country.” Currently accepting applications for its next round, which is due to start in July, SE Factory has received over 55 applicants for the second cycle, and the team is in the final stages of selecting the final candidates for the batch.